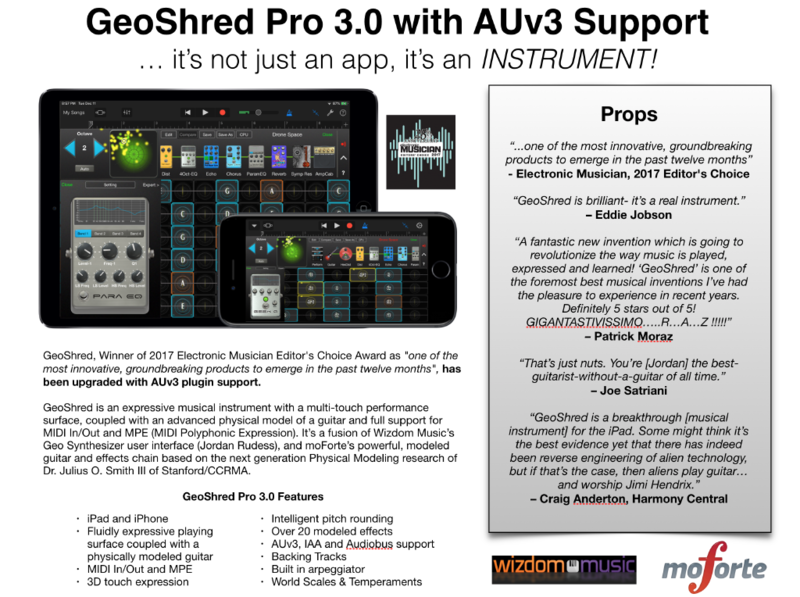 Introducing GeoShred 3, an exciting update to the award-winning GeoShred musical instrument for iPad, iPhone and iPod touch NOW WITH AUv3 plugin support for devices running iOS 11.4 or greater. GeoShred, Winner of 2017 Electronic Musician Editor’s Choice Award as “one of the most innovative, groundbreaking products to emerge in the past twelve months”. • Support for world scales and temperaments including Indian Ragas, Arabic and Balinese scales. We occasionally have news updates about GeoShred. consider subscribing to our mailing list.